Folk Masti is a folk/fusion music band from Mumbai who keeps on doing collaborations with artists to create unique sound.. A Fusion group combining folk music with western elements and has a influences by folk rock band like The Raghu Dixit Project, Indian Ocean & similar artists. Band comprises musicians : Vipul Panchal (Vocals & Guitar), Sachin Guldagde (Keys) & Roshan Aade (Rythms & Percussions). Band has compositions which can convey positive message to society & make culture of folk music alive. Recently we are marked at Rank 28 in Sennheiser Top 50 emerging bands of India contest, Contest was judged by Shankar-Ehsaan-Loy & Salim-Sulaiman. 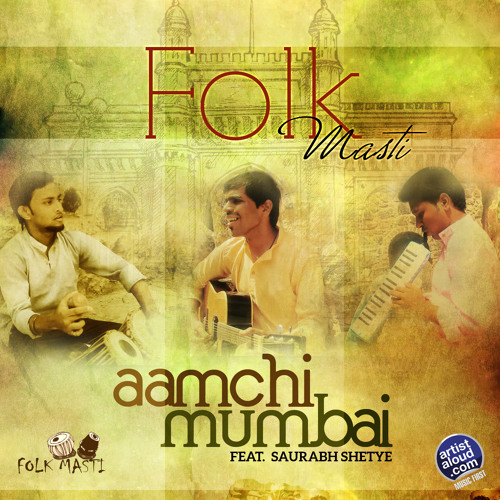 Folk Masti's first Official music video "Aamchi Mumbai" released on Pepsi Mtv Indies in Dec'14. The song is about Mumbai itself. It is about loving the place where we live in and coping with everyday life. Recently band got interviewed at Radio Mirchi 98.3's show Mirchi Edge. Also our single "Aamchi Mumbai" got featured on web radio stations Planetradiocity.com & Mirchi edge.